Mr. Sotoloff co-founded MRECS in 2014 and serves as a Managing Partner and Chief Investment Officer. Prior to joining MRECS, he was a Managing Director and Head of U.S. Originations of Blackstone Real Estate Debt Strategies (BREDS), was a founding member of the Blackstone affiliate that advises such funds, and contributed to the launch of Blackstone Mortgage Trust (NYSE: BXMT). Over 7 years, Mr. Sotoloff helped BREDS become a well-respected platform with $10 billion of equity capital and was closely involved in more than 90 discrete investment transactions representing more than $30 billion in total transaction value. Mr. Sotoloff oversaw structured finance transactions including both loan originations and investments in legacy loan portfolios and CMBS. He also sourced several transactions for the Blackstone Real Estate Partners equity investment program. Mr. Sotoloff served on the Investment Committee for Blackstone Mortgage Trust, the Review Committee for the Blackstone Tactical Opportunities Fund, and the Board of Directors of Landmark Apartment Trust. 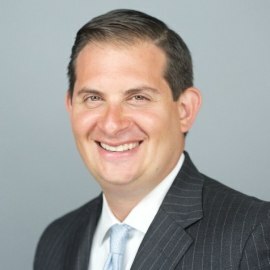 Prior to joining Blackstone, Mr. Sotoloff was a principal at Tribeca Associates, overseeing the acquisition, financing and development of office, lodging, for-sale residential and mixed-use assets and portfolios, and before that worked for Morgan Stanley, focused on the real estate and special situation funds, and Goldman Sachs, focused on the Whitehall global real estate opportunity funds. Mr. Sotoloff is a member of the Real Estate Board of New York, the Urban Land Institute, the CRE Finance Council and the International Council of Shopping Centers. He graduated with highest honors from the Wharton School of the University of Pennsylvania and completed the International Business Strategies Program at the London School of Economics.